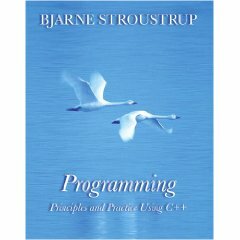 This is the latest book from Bjarne Stroustrup, the inventor of the C++ programming language. It has been published very recently and I did not have yet the opportunity to take a look yet so for now I am just spreading the news about its publication. Everyone located near Montreal and is reading this blog is welcome to join! Local group for C++ professionals located in the Montreal region desiring to discuss and meet other professionals of the Montreal C++ programming industry. Join and grow your network to beat all obstacles in your career. Discuss, Seek or Share your valuable knowledge with all group mates.